Behind the façade of Vienna’s imperial opulence, you might wonder if there is any space left for simple down-to-earth family fun in this city. Thankfully, Vienna’s once notorious coldness to children is now definitely a thing of the past, and opportunities abound for year-round outdoor entertainment, festivals, concerts, street fairs, as well as museums, theatres and other creative activities where both kids and their parents can feel comfortable and welcome. 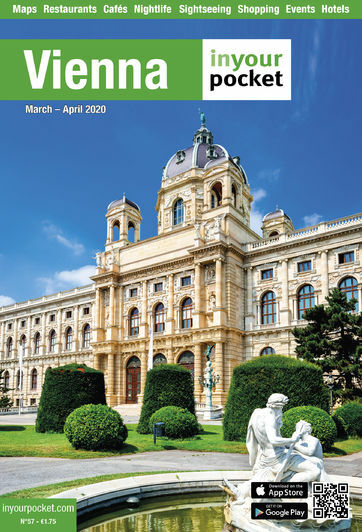 You can explore the fascinating blend of gadgets and robots at the Technisches Museum (Technical Museum), challenge your kids’ imagination at the interactive scientific exhibit of the ZOOM Kindermuseum (ZOOM Children’s Museum), visit the world’s oldest zoo in Schönbrunn, or splurge into winter wonderland at the famous Rathausplatz skating-rink. There is ample choice of things to do for the whole family this winter season. Known locally as Eistraum, ‘the ice dream’ is a 1,800 square meter skating rink with several additional skating lanes right in front of the Rathaus. Whether you are a professional skater or just a beginner, you’re sure to enjoy gliding to the sound of classical waltzes or modern disco. Skates can be rented on site for €6 per day, and the admission price varies from €4-6,50, depending on how long you choose to skate. Day passes available for €6. Rathausplatz, M Rathaus. Jan 19 - Mar 4 2012. Open 09:00-22:00.